June can be a great time for watching butterflies in our state IF you can find a clear weather day. Many of our species are in flight during June on both sides of the Cascades. Since most of the mountain areas are still snowed in, the lowlands provide the best opportunity for success. Some of my favorite locations east of the Cascades will be discussed first. Easy day trips from the Puget Sound area are to the lower Reecer Creek area (near Ellensburg) in Kittitas County, or the Derby Canyon area (near Peshastin) in Chelan County. 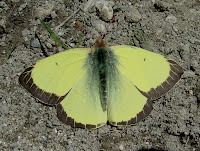 Longer multi-day trips into butterfly rich Okanogan County can be very rewarding. Places like Moses Meadows (near Omak), the Sinlahekin Wildlife Area (near Loomis), and the Mt Hull area (near Oroville) are highly recommended. Two of our common and very showy large butterflies fly in June, the Western Tiger Swallowtail (Papilio rutulus) and the Pale Swallowtail (Papilio eurymedon). Both of these can be found on both sides of the Cascades in all of the sites I will be discussing. 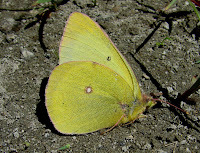 Our early flying sulphurs emerge in June. 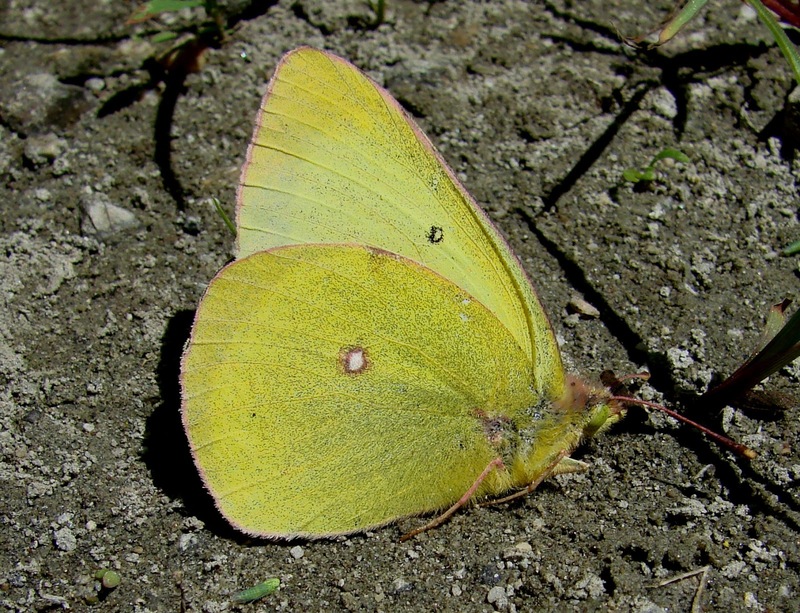 The Western Sulphur (Colias occidentalis occidentalis) can be abundant along the forest service roads of Derby Canyon. 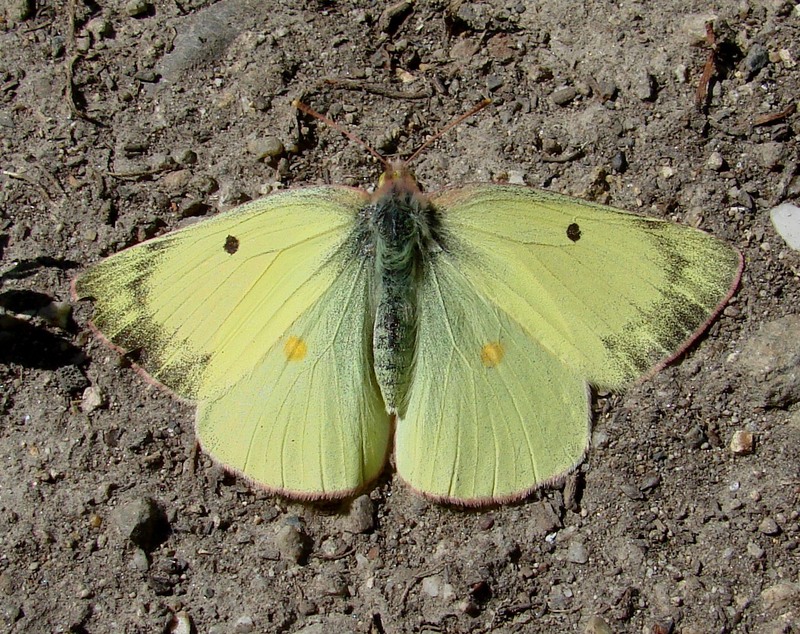 The Clouded Sulphur (Colias philodice eriphyle) can be commonly seen at Moses Meadows, the Sinlahekin, and in the Mt. Hull area. If traveling to the Reecer Creek area, spend time along the roadside by the uppermost farms, just before the cattle grate. Look for the tall white flowering buckwheat (Erigonum elatum). If it is full bloom you will be in for a spectacular day of butterflying (mid to late June is best). You will be rewarded with a Lycanid paradise. A number of hairstreaks, coppers, and blues will be found nectaring on these buckwheats all along the roadside. 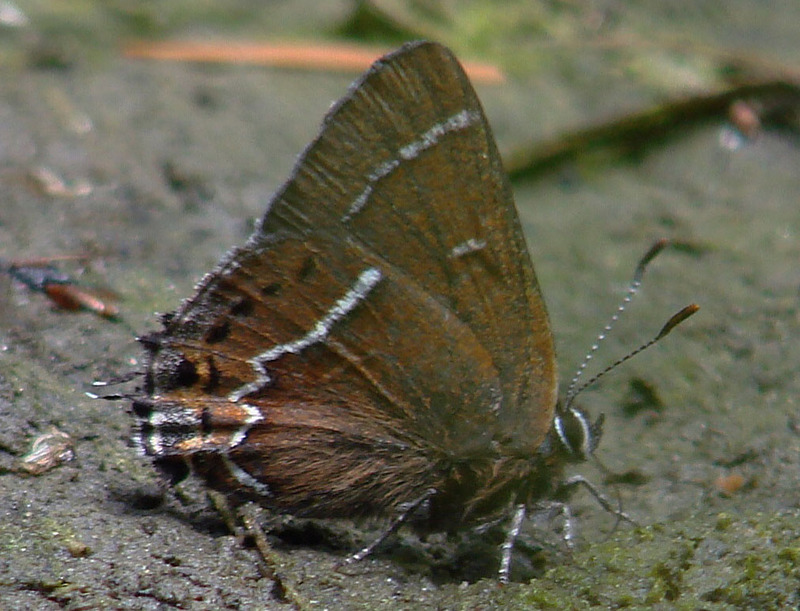 Look for the uncommon Coral Hairstreak (Satyrium tuitus immaculosis), the Behr's Hairstreak (Satyrium behrii columbia), the Halfmoon Hairstreak (Satyrium semiluna), and the California Hairstreak (Satyrium californica). You will be able to approach these butterflies easily as they nectar on the flower heads. Another special hairstreak can be found at the junction of highway 97 (road to Leavenworth/Wenatchee) and the lower Green Canyon road. Look in the Coyote Willows that are close to the road or on the flowers in bloom close by for the Sylvan Hairstreak (Satyrium sylvinus sylvinus). This is an uncommon butterfly so a special find. The very beautiful Ruddy Copper (Lycaena rubidus), the Blue copper (Lycaena heteronea klotsi), the Purplish copper (Lycaena hellodies helloides), and the Lilac-bordered Copper (Lycaena nivalis browni) can be seen nectaring on the tall buckwheats by the last farms. A number of blues will also be nectaring alongside of hairstreaks and coppers. 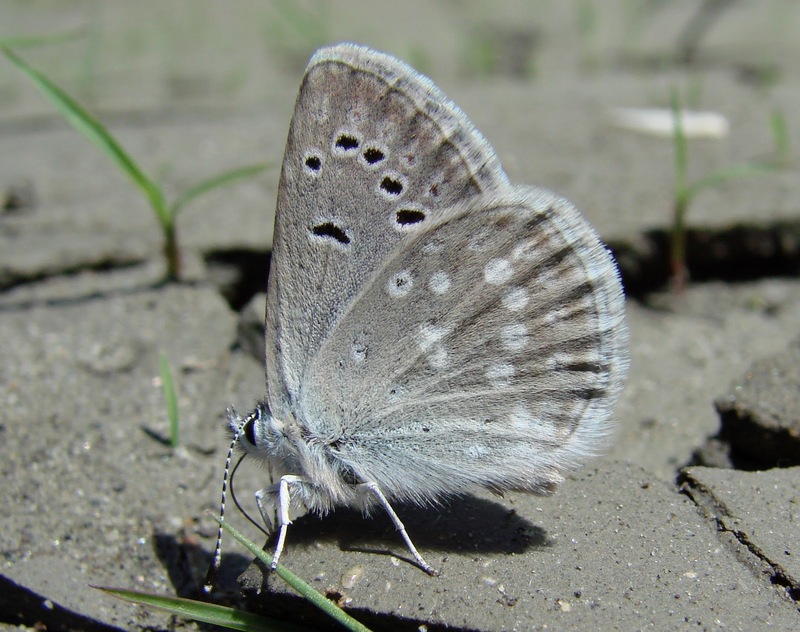 The most commonly seen blues will be the Columbia Blue (Euphilotes columbiae), of which the buckwheat is its larval food plant, and the Boisduval Blue (Plebejus icarioides pembina). 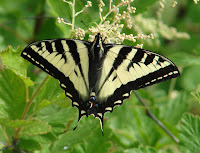 Many other butterflies will be flying by including at least three species of swallowtails, the Snowberry Checkerspot (Euphydryas colon paradoxa), and the common Small Woodnymph (Cercyonis oetus oetus). Some Washington butterflies fly mainly in June. One of these is these is the Meadow Fritillary (Boloria bellona toddi). Its range is limited to Okanogan and Ferry Counties. One of the best sites to see this butterfly is Moses Meadows, just east of Omak. Take highway 155 east out of Omak, and turn left on the Lyman Lake-Moses Meadows road. Continue up to the meadows. Look for the Meadow Fritillary in the open meadows and along the roads going into the surrounding forest. Three different skippers reach their peak flight period in June. The Tawny-edged Skipper( Polites (themistocles turneri) can be found at Moses meadows and the Mt. Hull area. The Peck's Skipper (Polites peckius) and the Garita Skipperling (Oarisma garita garita) can be found in the grassy meadows along the forest service roads of the Mt. Hull area. The Dun Skipper (Euphyes vestris) is a fourth June flying skipper. Look for this brown skipper in wetland areas on both sides of the Cascades. A good spot is along highway 10 near Ellensburg. Stop at grassy wet areas along the road. One of our most beautiful blues is in peak flight in June. The Arrowhead Blue (Glaucopsyche piasus toxeuma) can be found in a number of eastern Washington meadows that abound with lupine. My favorite site for seeing this butterfly in great numbers is at the Sinlahekin Wildlife area near Loomis. The Sinlahekin is a paradise of meadows, lakes and streams and abounds with butterflies. This site is a must to visit at least once in your lifetime. There are many other species of butterflies that fly in eastern Washington during June, but one last butterfly will be addressed. The Thicket Hairstreak (Callophrys spinetorum spinetorum) (larval food plant Mistletoe) flies along roadways in the pine forests of the eastern Cascades. 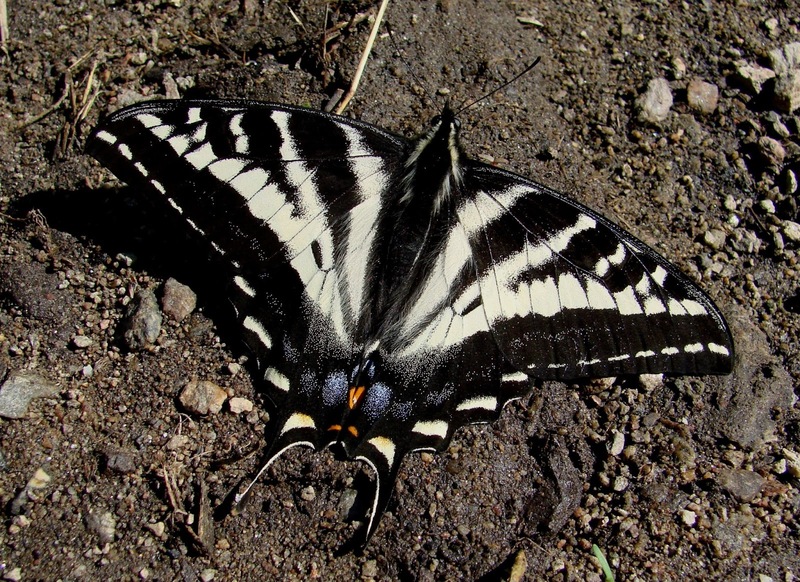 This beautiful butterfly settles down on wet mud at roadsides. Unfortunately, it will never show you its beautiful deep blue colored dorsal surface (so characteristic of tropical skippers), so you will have to settle for its well marked ventral surface instead. 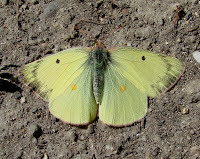 Make sure you bring along a good guide book when you butterfly in eastern Washington in June. You will a great diversity and will encounter an adventure full of surprises.